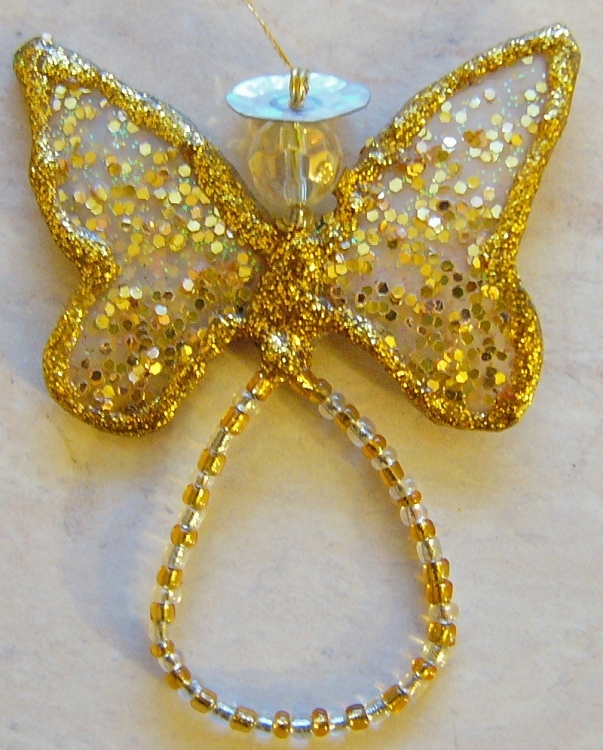 Butterfly Angel ornament, approximately 2.75 inches long. Check on the Chakra meanings and benefits of the colors in this ornament. Hang in window, or on tree, or use as napkin ring. Unique, handmade, original design by Vickie Jo Scott, artist. No two are alike. Designs on both sides.